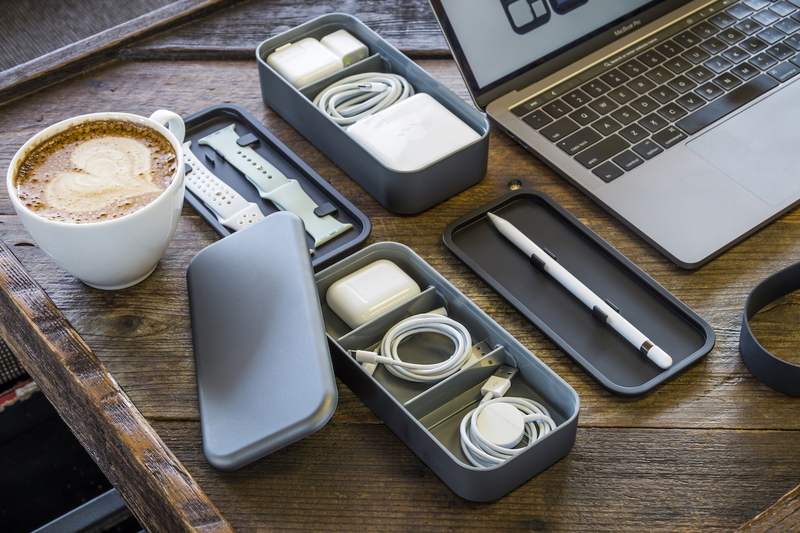 Take the complete BentoStack when all Apple essentials are needed. A large silicone strap keeps everything secure during transport. 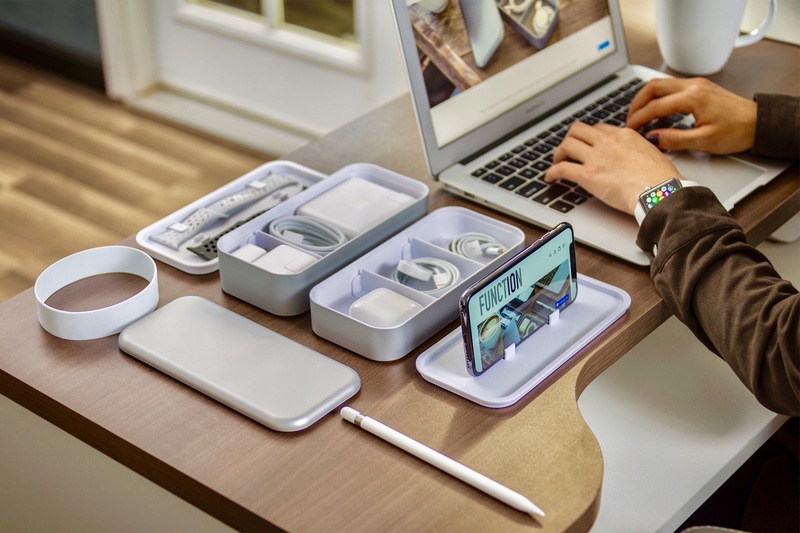 For shorter trips or light travel, take just one compartment and lid of your choice, A second smaller silicone strap is included to keep the components secure when mobile. Each BentoStack comes with four sliding dividers that create custom storage spaces to keep all accessories neatly secure in their own space. 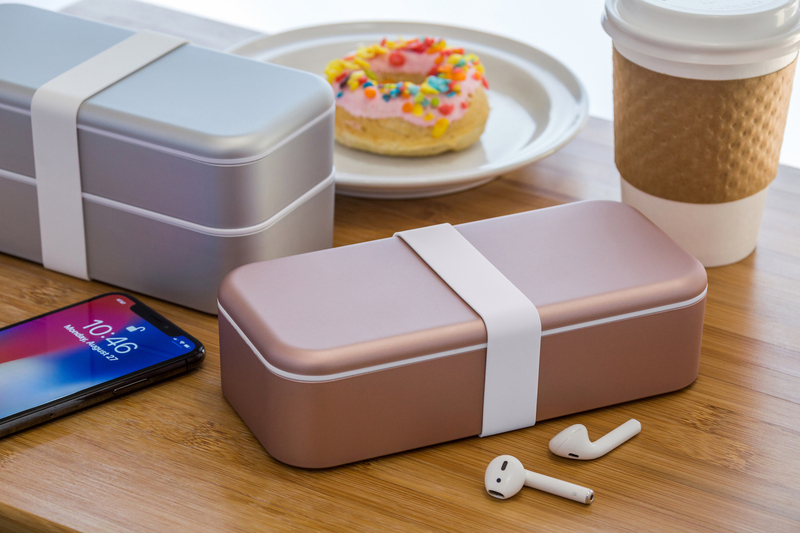 The Top Compartment Lid holds the Apple Pencil and can double as an iPhone stand.